Detailed Description: Red Dot D-Pak® 1-Gang Duplex Receptacle Weatherproof cover in bronze color is made of die-cast aluminum with aluminum lacquer finish for durability. It measures 2-13/16 Inch x 4-9/16 Inch and features a dual outlet. 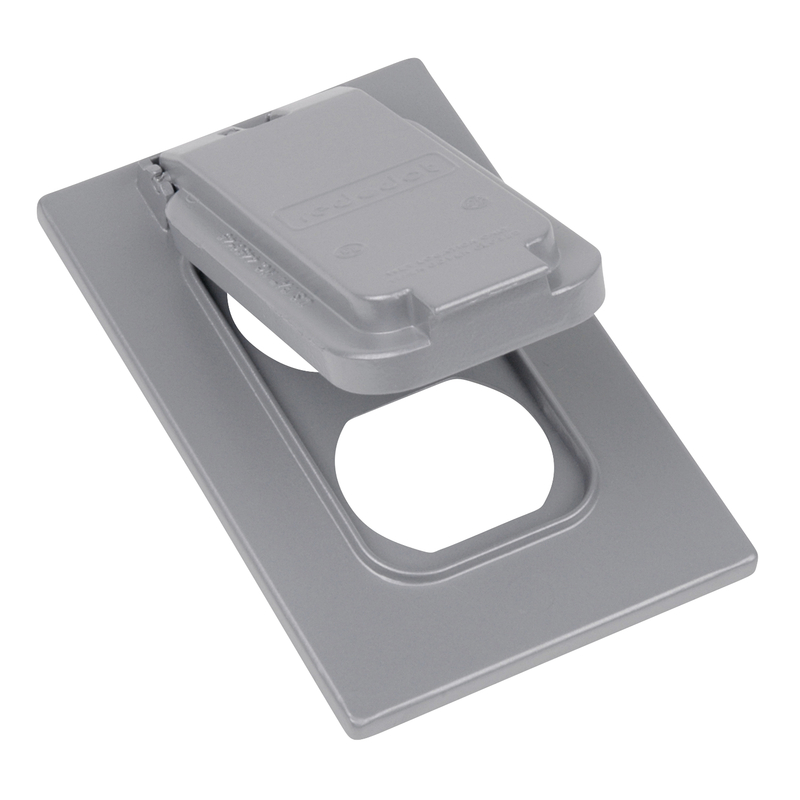 Cover features industrial design and die cast construction to provide a rugged protective enclosure for devices. 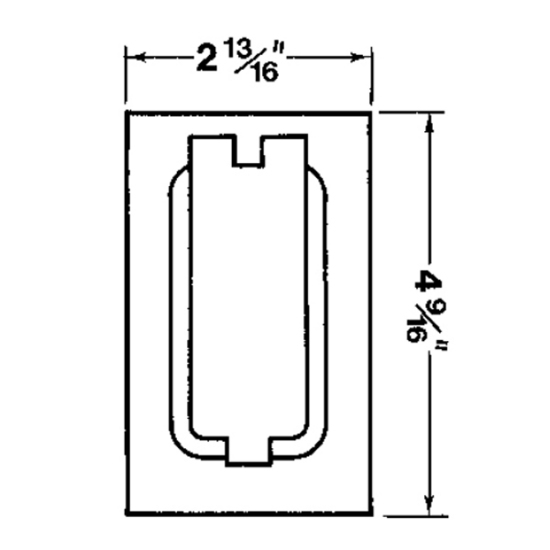 Clean cover edges provide good gasket sealing and machined surfaces offer safe pulling of wires. Dry-tite cover protects wiring devices, switches, electronic components and terminal block in dry, damp/wet conditions. Box features easy maintains through its accessible wiring chamber and mounted on a vertical device. It offers convenient mounting lugs for easy/various types of mounting and can securely fasten using mounting plates. Box meets is UL listed. Application Dry-tite boxes and covers protect wiring devices, switches, electronic components, and terminal block in Dry, Damp and Wet Locations. Application 2 Accessible wiring chamber provides a convenient location to maintain or change a system, pull conductors and make splices. Special Features Die Cast construction and industrial design combine to product a rugged protective enclosure for devices.